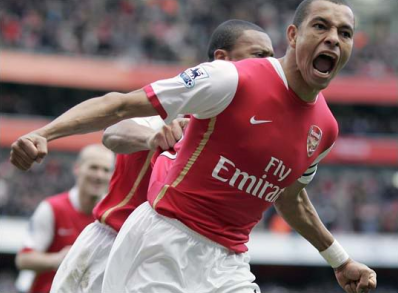 For me, Gilberto Silva was a fantastic footballer. He was professional. He performed consistently well. He was a vital member of a very successful side. True, he wasn't the best footballer in the world, but that didn't stop him from being a crucial part of the Arsenal invincibles side. The thing I'll always remember about Gilberto, was the fact that no one missed him, until he wasn't there. Even a team as good as Arsenal seemed to crumble and became victims of being overrun - because of the absence of The Gilb. I feel the same can be said about the "install prequel data" feature we've seen in PES in recent years. I strongly believe it's something that needs to remain in PES forever - it's just a shame there's no real term for it! The PES editing community is absolutely huge, working hard pretty much all year round, to make their option files, which are all equally magnificent! Even I admit that a decent option file, really helps me reignite my love for PES when my desire to play burns out. Simply, Konami cannot take this feature out. Like I've suggested, removing this feature would be absolutely catastrophic for the community. This is why, I promise to you now, that I will do my best to make sure that this feature remains in PES 2012. I, like all of you I'm sure, hope we aren't let down by Konami in October.